ACCIDENT-FREE CARFAX REPORT, owned in New Mexico and Arizona since 2012! 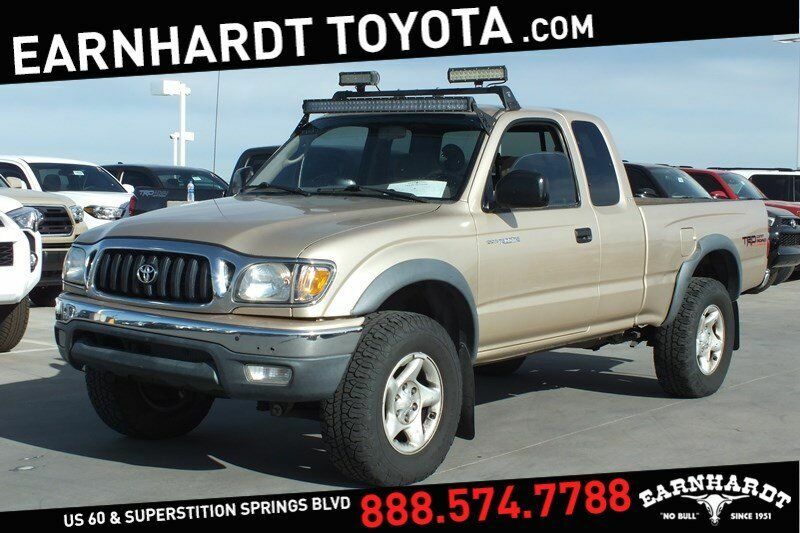 Features include TRD Off-Road package, SR5 package, power windows, power door locks, tilt wheel, cruise control, AM/FM/CD/Cassette player, cup holders, console, daytime running lights, dual airbags and more. This has 16" factory wheels and the tires have good tread on them. The Mystic Gold exterior shows well with no pronounced damages on the body. The Oak upholstery is in good condition with normal wear for its age. This currently has 205k miles and is a reliable daily driver that you're going to appreciate owning, please come in for your test drive today!